Many people anticipate being accepted into their top choice when applying for college. Few people are accepted into the school they want to attend because that same school tends to be the ideal choice for many other students, which makes it more competitive. If you want to attend the University that you have always dreamed about, you should do some research. Make sure that you know the admission requirements and deadlines for the school of your choice. It will help you prepare yourself mentally for what you will need to do in order to stand out before the admissions committee. Universities determine if you deserve to be a part of their school based on several factors, which include your GPA, a personal statement essay, your SAT/ACT score, and high school courses. If you are weak in a couple areas, you need to focus on turning other areas into your strengths. It is also great to be active in student organizations and the community or having a job. High school students need to remember that your GPA is the most influential factor during an admissions decision. A very good GPA increases your chances of getting your desired college without having to worry much about your SAT/ACT score. Also, it’s important that you try to distinguish yourself from other students around the nation who are applying to your favorite college or university. You can try including a personal story in your personal statement. For example, I would state that my dad has always told me that you should learn from the best so you can be the best if I was applying to Yale. I am using my father’s words to indicate that I would like to attend Yale because it is one of the best universities in the country. 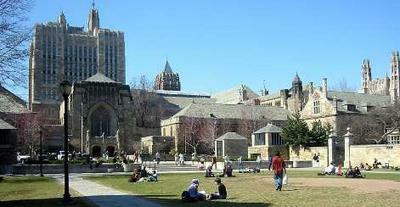 My personal statement would allow me to demonstrate that Yale has a deeper meaning to me compared to other people. Schools also distinguish students based on their experiences in life. Volunteering, the creation of your own business, and a history of employment are all factors that cause admission committees to see that you have no problems with adjusting to different situations. Read more tips about being accepted into their top choice school from other students and parents who have been through the college admission process. Thank you Daniel for sharing your tips on getting into the school you want to go to. We agree that the college admission essay is very important. See some examples of some essays submitted by our readers at Best College Essays. Best wishes to you in college. Applying for college is your chance to show off what you’re made of. Many things factor into a college’s decision on whether to accept you or not; grades are not the only thing that colleges look at, but never assume it’s not important. It’s better to be a well-rounded student than being good at only one thing. Your ability to answer the prompts required for some college applications also play a big role in the application process. Do not worry if you don’t get into the college of your choice, you still have another chance. keeping track of everything that is going on around you. This does not mean you have to do all that is listed above at the same time, however. As I mentioned before, you want to show that you can manage your time effectively while being productive in whatever it is you choose to do. •	Answer to the best of your ability. •	Answer by how you interpret the question (meaning you don’t have to answer directly to the prompt. Colleges are looking for distinguishing features that sets you apart from all other admission prompts while responding to what they’re asking you). •	Do not be vague. Don’t leave the readers guessing at how you might be as a person. •	Do not stray from the main point of your prompt. For example, do not ramble on about how your relative is the best person ever. The prompt is about you. •	Do not exceed the word count. Colleges give you a word count that apply to both prompts, so what is recommended is to split the word count for both prompts. It’s okay if one prompt is shorter than the other, or if both are short as long as you can get your point across in a creative and effective manner for both prompts. Have multiple people review your prompts to make sure it’s the best you can make it, preferably teachers and adult figures (not including your parents). You can have your parents look over it, but you most likely won’t get all the feedback you need to perfect your prompts. Make sure you include the prompt question along with your response so that the person reviewing knows what to be looking for. If you don’t get into the college(s) of your choice, you can retry by transferring out of a community college. Colleges tend to choose transfer students over graduating students coming straight out of high school, so you have a stronger chance of getting accepted into your dream college. You also save money by receiving your general education in a community college near home, including gas needed to travel, the costs to take the classes, and the costs for housing. If you wish to go straight to a four year be active in your community, and keep your grades up. Do not be scared to send in an application if you feel like you don’t have good grades or haven’t done enough. The worst a college can do is deny you admission for that year, so do not be afraid. Read more College Admissions Help from other students and parents who have been through process. Thank you Marylou for sharing your college admission tips “Getting Into College - What To Look Out For”. I like your suggestion to consider community college as an option if you don't get into your dream school, as you might be able to transfer to it later. Best of luck to you. Join in and write your own page! It's easy to do. How? Simply click here to return to College Admission Help.